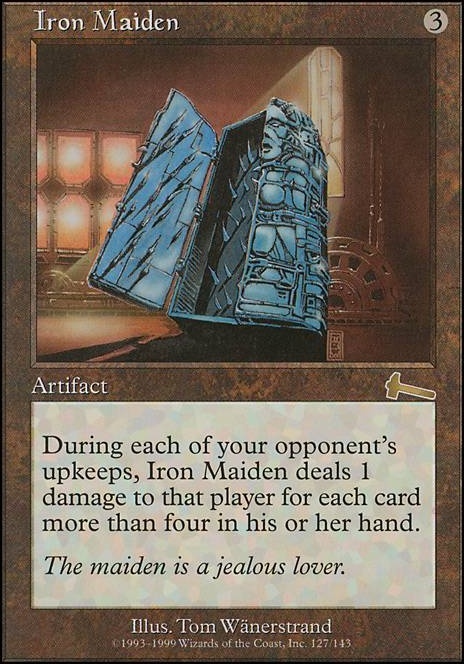 At the beginning of each opponent's upkeep, Iron Maiden deals 1 damage to that player for each card more than four in his or her hand. Memory Erosion and Hedron Crab could help you. As to what to remove, I would focus on your goal (pillowfort and decking opponents) and get rid of cards that do nothing to achieve that (Iron Maiden and similar effects). Also Pull from Tomorrow seems unnecessary, given all that group-draw you have. I don't usually intend to win with this deck, however it is possible. In order to win, I would play a spell that makes everyone draw heaps and then play an Iron Maiden or something similar. As you can see, there is also the Laboratory Maniac for when I draw myself out. I haven't made it work yet, but one of the combos I included was Psychosis Crawler and Enter the Infinite which would mean that I would draw my entire deck and hopefully deal lethal damage to all of my opponents at once. Another thing that usually ends up happening is drawing almost a completely new hand every turn with the amount of extra draw cards I have included. This is kind of like a weird mill strategy but giving my opponents the illusion of choice by making them decide which cards to get rid of. But this deck is mostly for fun with my playgroup. OMG!! Another Stasis deck with Kami of the Crescent Moon at the helm. Cudos!! Just a few things. 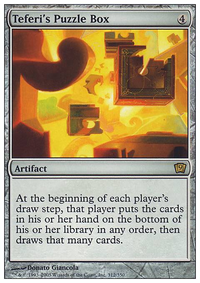 Depending on how you want to combo out, there are a few things you can do, the main thing being winning with infinite draw with Mind Over Matter + Temple Bell , or you can go infinite Stasis with no hope for any more magic with Chronatog + Frozen AEther + Stasis . The IB deck is a lot of fun to play. I added Kusari-Gama thinking that it could work but I then found out through play testing that as soon as I sacrifice the creature, the equipment falls off and then damage is delt but I can still trigger it as long as Shared Animosity is pumping my creatures enough to board wipe. 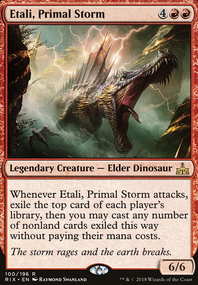 But in my meta there are a lot of Derevi, Empyrial Tactician, Rafiq of the Many, Captain Sisay. Just heavy counter/bounce magic, board wipes, and wheels. IB does kill at least one person in a 4 man pod but I die almost immediately afterwards. My board state (when I kill that one person) usually has Goblin Chirurgeon, Goblin King/Goblin Warchief, Krenko, Mob Boss, Blood Moon, Mana Web, Price of Glory, and Shared Animosity. I am very much still pleased with the deck. Just giving feed back as to what types of meta it has a hard time with (if you don't already know). I did have a huge favor to ask of you. I love death and taxes style decks. If you swing at me we both lose stuff but you will lose more. I run Shattergang Brothers and it can be mean. 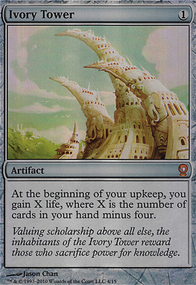 I just want a new deck that mimics death and taxes. I have my eyes set on Michiko Konda, Truth Seeker, and Darien, King of Kjeldor. 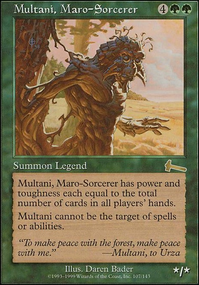 But a Daretti, Scrap Savant deck would be awesome! I know those decks are mono colored but I am not only wanting mono colors, it just happened like that. I agree with Hyperalgialysis. 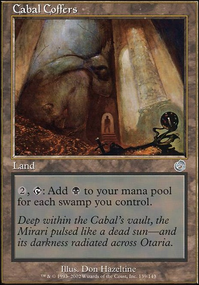 Drop some lands! Forced Fruition is brutal for your opponents. Iron Maiden is alright, just happened to come across it today so I thought I'd share. Skullcage is interesting as well, and Dark Suspicions has a similar affect. Sadly these happen at the upkeep which is before the draw step, but they could still do some damage. Mindcrank is a little different but could still fit in well. Gratuitous Violence is perfect for abusing Nekusar's ability. You probably want Lightning Greaves and Swiftfoot Boots to protect Nekusar if he is to be a main part of your game plan. 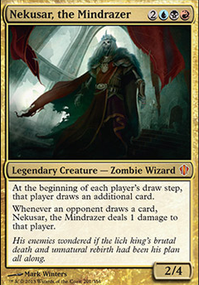 Nekusar is a very interesting commander, and there are many options as far as his decks go. Best of luck! As usual, I love the deck! 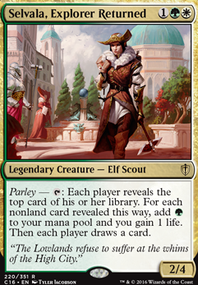 It reminds me of my first commander deck, Il Principe, however, you do a much better job focusing on Machiavelli as a whole. Seeing as how he was tortured on The Rack, have you ever considered adding it for flavor (or Iron Maiden for function)? I'm sure that Niccol Machiavelli, wherever he may rest, rule, and burn, approves of this deck.